​There is an international discussion about the question of ‘human rights’ and I was asked to do an interview on this. So, this post, based on the interview, explains the real situation of why the West’s attempted definition of human rights is an absurd fraud – a mere propaganda distortion. ​I want to start by making a clear statement which I will then substantiate: China’s contribution to the improvement of human rights is the greatest of any country in the world. I will explain very clearly why. ​The first decisive factor is that, on the latest World Bank data, China has taken 853 million people out of poverty by international World Bank standards. All the Western countries together, which have a much larger population than China within developing capitalist economies, took 252 million people out of poverty. China is responsible for 75% of the reduction of the number of people in living in poverty in the world. Incidentally another 3% came from socialist Vietnam. So socialist countries account for 78% of the reduction of the number of people living in poverty in the world and capitalist countries for 22%.I also want to explain why the western conception of human right is absolutely ridiculous and a fraud. It reduces the question of human rights to whether you have a few formal political rights or not. Let me give you an example. If you are in Africa, starving to death, and I’m afraid that in Africa there are people who face death by starvation, provided you are able to use Facebook you meet the criteria of a ‘human right’ by the Western criteria – but the fact that you are dying of starvation is not counted in the criteria of ‘human rights’! But for virtually all people, and all sensible ones, the question of whether they starve to death is much more important than the question of whether they can use Facebook or not. Let’s take another example – the question of the comparison between China and India. Again on the latest data a Chinese woman lives on average eight years longer than does an Indian woman. Chinese literacy amongst women is 94% whereas in India, literacy among women is only 63%. 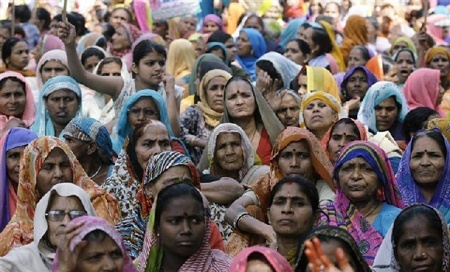 That means almost forty percent of Indian women can’t read or write. 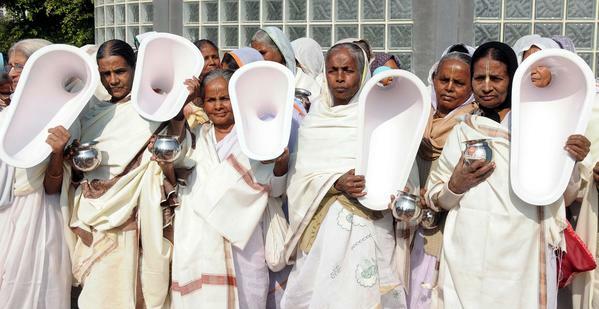 ​Over 700 million people in India don’t have a access to a toilet – an issue which affects all such people but women even more so. But according to the Western definition if you can use Facebook you have human rights but if you don’t have a toilet that is irrelevant to your human rights. But for the overwhelming majority of people who don’t have one to have a toilet is a very much more fundamental issue of human rights than being able to use Facebook. Whose human rights are really better? Are the human right of an Indian woman – an Indian woman who lives eight years less than a Chinese woman, who has an almost forty percent chance of not reading or writing, and doesn’t have a toilet – better than those of a Chinese woman because she happens to live in a parliamentary republic? Any definition which claims that result, which is what the Western one does, is absolutely absurd. The human rights of a Chinese woman are clearly much better than the human rights of an Indian woman – and I say that with regret because I would like the human rights of an Indian woman to be as good as those of a Chinese woman and I hope they will become so in the future. ​​Let’s take another issue – the question of being alive. The most important human right in the world is to be alive. But we know that the question of poverty, and the question of economic development, contribute enormously to whether you are alive or not. This can be shown very simply. If you take the average life expectancy of somebody who lives in a low-income economy, defined by international World Bank criteria, they live almost 20 years less long than people in a high income economy – 62 years compared to 81 years. Therefore, you live 19 years longer in high income economy than a low income economy. This is your most basic human right, which is to stay alive. But this is not counted a ‘human right’ by Western criteria. Whereas for any normal human being the question of whether they are alive is very much more important than the question of whether they can use Facebook!Interestingly this difference in life expectancy between low income and high income economies is almost exactly the same as the difference measured inside American or British cities. If life expectancy in American or British cities is measured, the people in the richest boroughs in the city live about 20 years longer than the people in the poorest ones. So, this is another question that is concerned with the issue of human rights. The idea of reducing human rights to a few questions such as whether you can use Facebook or not is therefore absolutely ridiculous. This is also, of course, why Western propaganda is not very effective. Because most people consider the question of how long they live? What is their standard of living? Whether they can read or write? What are the real rights of women? These are much more important for them than the questions that Western countries point to. So therefore, I will repeat very simply what I said. The record of China, through lifting people out of poverty and through having the fastest increase in living standard of any country in the world, ensures that it is China which has made the greatest contribution to the improvement of human rights of any country in the world. The greatest increase in human rights in the world that could be made would be for other developing countries to have the same success as China. And it is necessary to be clear the reasons why the Western definition of human rights is a ridiculous fraud.